Watch our FaceBook page this holiday shopping season for gift ideas for the special people in your life. Throughout the year, the Lincoln Art Center displays unique, hand-crafted items made by local artists in our Gift Gallery. This partnership allows the art center to make a few extra bucks for our operating expenses and also helps small artists pay the bills to continue creating. 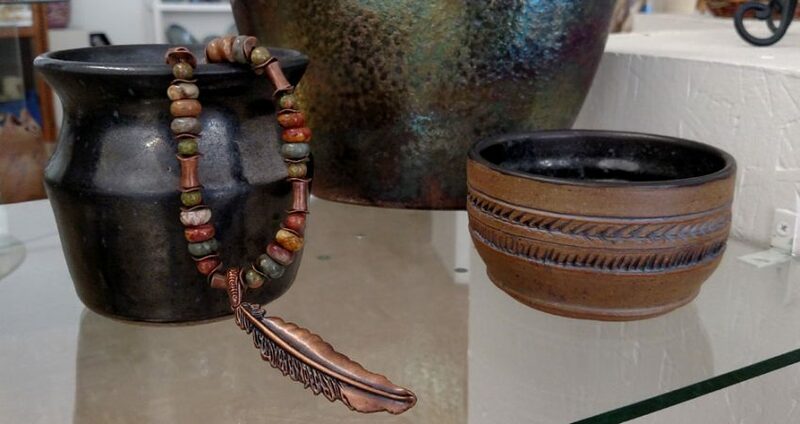 We’ll be posting different items frequently, telling a little bit about the item, what’s it’s made out of, a little bit about the artist, and the price, and giving everyone an opportunity to shop the gift gallery even if you might not be in Lincoln. Shopping on social media gives you a chance to speak for a unique item you hadn’t seen before, or even possibly pay for it and have it shipped to you through our new PayPal account. Note: Due the fragile nature and/or the size of some works of art, we won’t be able to ship everything. Pick-up at the Art Center is a fine arrangement too. We are having a membership drive between now and the end of the year. Sign up for a new membership or renew your existing membership and receive 10% off any item in the gift gallery. You can do this through PayPal on our website, or you can always call Joyce or mail it in too. You could score a unique, one-of-a-kind, hand-made item, get a discount on that gift, and help support the Lincoln Art Center all at the same time! We wish everyone and their families Happy Holidays and we hope to see you soon at the Lincoln Art Center! "Spaces, Places & Things", featuring the work of Ken Klostermeyer and Roger Prochaska, both of Salina, opens at the Lincoln Art Center Friday, November 11 from 5:30 - 7:30, with a gallery walk at 6:15.